Roland apparently doesn’t want to leave too much to the imagination – or online leaks. Now, it’s official. Roland has posted a teaser image to their AIRA site. It’s marked with the catch phrase “Start Patching,” plus “Frankfurt Musikmesse 2015” (next week’s industry trade show here in Germany). Looks like there are probably four modules to start. 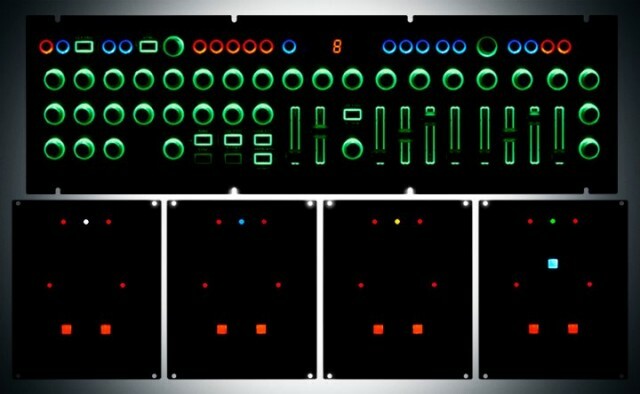 Analog Circuit Behavior (ACB), Roland’s own component analog modeling technique introduced on the AIRA line, seems a natural for the modules since it’s already in this soon-to-be-rack-mounted SYSTEM-1. Of course, that still opens up analog control (via CV). A lot of great modules at the moment are digital, so no shocker there. The one thing I can’t do? Unlike last year’s teaser image, messing about with the image levels doesn’t reveal all the labels. Heh. We’ll be visiting Roland next week and then all bets are off.